Jefferson’s Bourbon has taken maturation technology to the next level with their latest release of Jefferson’s Twin Oak Custom Barrel. The small-batch bourbon producer, famous for their innovative small batch blends, has partnered with Independent Stave Company (ISC) to develop a new Jefferson’s barrel. As a result of a six-year experiment, the new Zoeller Jefferson’s barrel creates an innovative and unique environment to finish the fully mature Kentucky Whiskey. 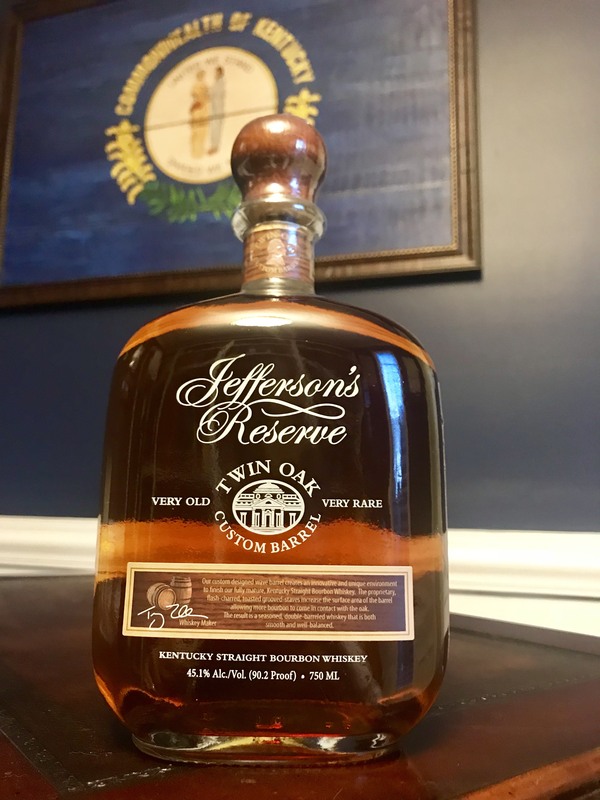 The Jefferson’s barrel is made from grooved staves increasing the surface area of the barrel allowing more bourbon to come in contact with the oak at the peak of flavor. The barrel is toasted to a specific time and temperature recipe and then flash charred. The result is a tremendously full-flavored, complex, balanced bourbon from a seasoned, double-barreled whiskey. Trey Zoeller, CEO, and founder of Jefferson’s Bourbon, worked closely with the ISC’s cooperage in Lebanon, MO by becoming a barrel chef for a day. After dozens of experiments, Zoeller was able to learn more about how barrels were prepared for wine and spirits. ISC and Zoeller played with a combination of seasoning, charring, toasting and finally landed on incorporating a grooved stave barrel, giving the bourbon a mocha flavor, resulting in the development of a custom barrel to finish (for four months), a 10-year-old Kentucky straight Bourbon whiskey. To learn more about the Jefferson’s line of spirits, please visit www.jeffersonsbourbon.com, or follow the brand on Instagram (@jeffsbourbon), Facebook (Jefferson’s Bourbon) and Twitter (@JeffsBourbon). Jefferson’s Twin Oak Custom Barrel is available for $79.99 at select retailers.